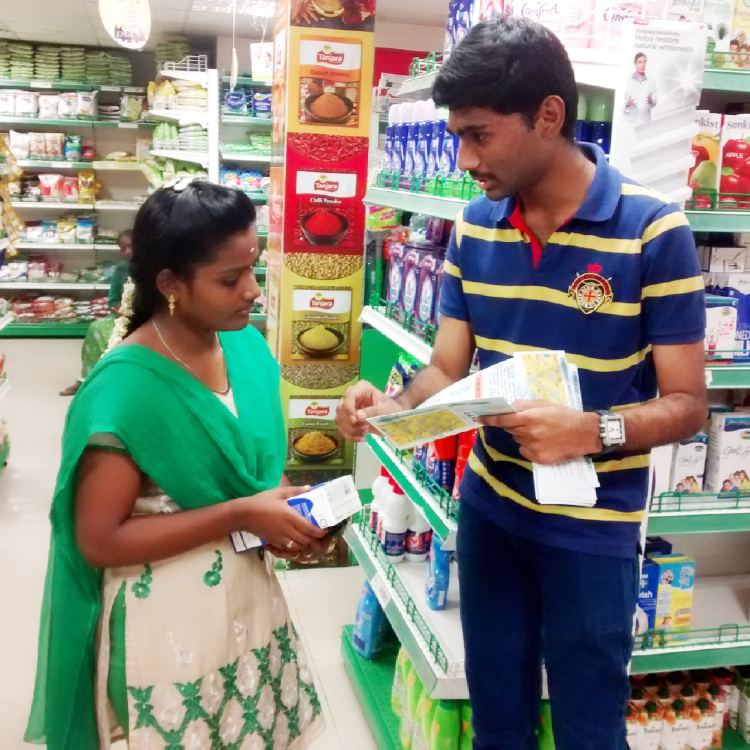 As a part of public engagement, we visited the Nilgris supermarket, Chennai and educated people about Genetically Modified Organisms (GMO’s). In order to accomplish this we collaborated with IIT madras and made a joint questionnaire to analyze the knowledge of GMO’s. A survey was conducted among the customers and it was inferred that people do know about GMO’s and its effects, but were ready to accept once they’re approved by a regulatory body. We also explained them about our project and it was found that the customers were very enthusiastic in accepting a newer technology that could increase the shelf life of milk. Though most of them had enough refrigeration facilities, yet they found them useful as this would come in handy at difficult times. Thus we can conclude that though the customers had a concern about using GMO’s in food, ensuring its safety, they wish to have a solution for milk spoilage.